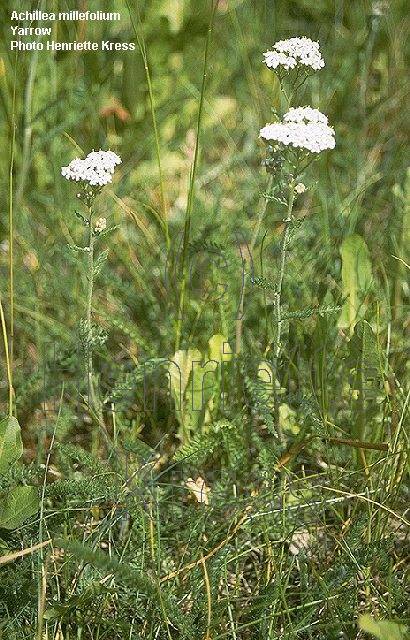 Yarrow grows from 10 to 20 inches high, a single stem, fibrous and rough, the leaves alternate, 3 to 4 inches long and 1 inch broad, larger and rosette at the base, clasping the stem, bipinnatifid, the segments very finely cut, fern-like, dark-green, giving the leaves a feathery appearance. The flowers are several bunches of flat-topped panicles consisting of numerous small, white flower heads. Each tiny flower resembling a daisy. The whole plant is more or less hairy, with white, silky appressed hairs. Flowers bloom from May to August. Gather stem, leaves and flower heads in bloom, dry for later herb use. Dry herb edible as a spice or flavoring, strong sage flavor. Anticancer, antimicrobial, antiinflammatory, cytotoxic and antispasmodic (essential oil); hemostatic, alterative, analgesic, antidiarrheal, antiemetic, antirheumatic, antiseptic, astringent, purifies the blood, carminative, anthelmintic and anticonvulsive. For various maladies of the major organs and systems throughout the body, abscesses, atony, backache, hemorrhages (including those of the lungs), bruises, burns, cancer, colic, common cold, condyloma, cough, as a depurative agent, in fever,hypertension, menorrhagia, amenorrhoea, haemorrhoids with bloody discharge, atonic gastric and intestinal dyspepsia and leucorrhoea. Stary, Medicinal Herbs and Plants. 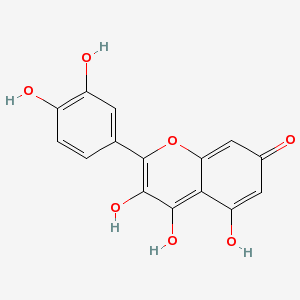 Chandel et al., Biodiversity in Medicinal and Aromatic Plants in India. Bentley and Trimen, Medicinal Plants. Grieve M. A Modern Herbal 1931 (www.botanical.com). McGuffin M, Hobbs C, Upton R, Goldberg A (eds). American Herbal Products Associationâ€™s Botanical Safety Handbook. Boca Raton, FL: CRC Press, 1997, 3.